To find your designated delivery day, please enter your suburb or postcode below. Home Chef is available throughout the Perth Metropolitan Area from Two Rocks to Mandurah to the Hills area. Home Chef is also an approved meal provider to various regional hospitals and can deliver bulk orders to regional areas. 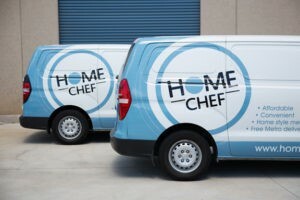 Home Chef employs their own drivers and each driver delivers to the same area each week to ensure continuity and peace of mind for our clients. Staff Training includes responsibilities and care as set out in our HACC statement of Rights and Responsibilities for Service Providers. Drivers are trained to be supportive, caring and helpful to each client’s needs – i.e. placing meals in freezers or contacting Home Chef Office if they are concerned about the client. All Home Chef Delivery Drivers must hold a current national police clearance and Name Badges to ensure customer’s safety and privacy is not neglected. It is preferable if you are home at the time of delivery. We understand though, that at times you may have to go out. If you are not home for your delivery, our Customer Care Team will attempt to contact you. COD orders will be returned to our office and a cancellation fee may be applied. Prepaid meals will be left in an esky with ice and an esky fee will apply if the esky is not returned. Alternatively customers can provide their own esky for their delivery. Please be sure to advise us of any special delivery instructions at the time of placing your order. Home Chef does not take responsibility for any damage or theft to meals if you are not home and have requested meals to be left. PLEASE NOTE; Meals need to be placed in the freezer the same day. 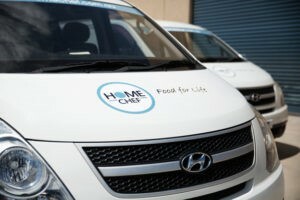 Home Chef has an internal No Response Policy when a driver arrives to customers’ premises with no one home. Our current protocol is for the driver to call the number provided on the invoice (this will be the customers direct number), and if still no response, the driver is to call the office for further instructions (e.g. contact next of kin, care provider if appropriate and/or to get approval to leave the meals in an esky for the customer).